Consortium of travel agencies, tour operators and incoming agencies that drives its members’ interests in relations with public authorities, legislators as well as in the field of domestic and international organizations. Hospitality and tourism. E-books and statistics. On Haaga-Helia's network. Group of national travel agents’ and tour operators’ associations within the EU. National Food Composition Database in Finland, maintained by the National Institute for Health and Welfare. Sweden's official website for tourism and travel information. The UK's specialist aviation regulator. Services for companies in innovation activities, internationalization, investments and tourism promotion. Suomi.fi is a web service in which you can find the public services and information. Network of public sector actors providing internationalisation services for Finnish companies. Information about strength training, athletic performance, and biomechanics. Google Scholar is a search engine specialised in finding research articles. Some of library's electronic resources can be searched with Google Scholar. In addition, you'll be able to search for Open Access materials. Can you use Google effectively? Remember to evaluate the reliability and usability of the sources you find! Excellent for keeping up with the latest developments in your field. 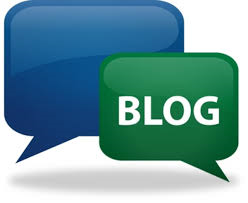 Look for blogs by researchers of research groups. There are specialised search engines for searching in social media. Find out more on Social Media: Guide to Searching Twitter, Facebook, Blogs, Videos, Images, etc by Cornell University Library. Open science and research aims to make research results, research data, and research methods publicly accessible and usable. Increasingly, both research publications and research data are freely available to anyone. Research data already collected could be used in theses, for instance. Search for open data in data archives, such as the ones below. Aila Data Service provides access to data archived at the Finnish Social Science Data Archive. Browsing, searching and accessing metadata is completely free. Some datasets are freely available for downloading. Avoindata.fi is a centralized repository for Open Data in Finland. Open Data is digital information that can be freely used as long as the original source is credited. The repository contains datasets published by the government, municipalities, companies, organizations and individuals. Search tool for research data. International search portal for data archives. Search datasets by subject, type, country or other criteria. Research data is source material like any other, such as a book, journal article or a website. The same principles apply to citing data sources. In the minimum, the citation should include author, title, publication year, version, and information on availability (permanent identifier of data). Data archives often provide citation instructions for users. If you are using open data for your thesis, it is a good idea to ask your thesis adviser for advice on citing.